just a quick question, anyone know which ep that the ainori went to Malaysia? i would like to see that ep...anyone know about it? Oose was a bit before my time. She doesn't seem to mention going out with anyone explicitly, but then again I only skimmed over the last few pages. But it seems like a fun read (and good practice), so I might look more into it later. thanks for skimming through her page for me. i actually went though her pictures and figured out that she has a bf, but her bf's face is always censored for some weird reason. anyways, looking by the body shape, i figured that its none of the guys from ainori. and to the person asking for ainori episodes in malaysia...check out episodes 183-186.
this is cool...somebody knew it..
Fuji TV will end the show in march 2009! u mean, end it forever? SERIOUSLY? Where did you hear that from? Yeah, the last episode will be aired in the end of march. Well, dang. Thanks for the info, though. It's a good time to let it go, I think. They're running out of countries to visit, and according to that article, after 10 years on the air, the network has decided the show has "achieved what it set out to do." I don't think it helped that they kind of lost the face of the show when Hide finally left. He provided an anchor to the changing faces around him and he changed remarkably over his course on the show. Nobody else after him had as much charisma or if they did, they quickly confessed or got hooked up. I hope they end at least with a special with the most famous members in these 10 years. it's about to end? awww... and only started the summaries from last year ago!!! They should find another character like Hide to keep the show more fun. biniBningPunkista, it's not ending because it was no more fun, actually the ratings are still quite high. But they said something about it just being the right time to end it now after 10 years. really sad to see it go..
Buggier wrote: really sad to see it go..
Ta10 wrote: For anyone who wonders what former Ainori participants are doing nowadays. Here is a little something regarding former Ainori member Carbonara. http://www.youtube.com/watch?v=PWwZlKP5AIs& You know what? I sort of figured he was into this line of work even before he went on Ainori based on the way he looked. Where the hell was he in that video? Was he the weirdo smiling with the afro? Was that the only part he was in? I don't want to be looking at the other plastic looking hosts. I guess Carbonara is a sell out. Ohh and Ainori is really going to end this year? Figures.... I'm sure the staff is getting tired of going through hundreds of tapes and only using several minutes of them. It's obvious they're trying too hard to make the show "entertaining" but forcing a bunch of cuts and adding stupid sounds. Hmm, kind of sad that it's officially ending but I guess that's the way it is whenever something comes to an end. But I'm also sort of relieved that it's coming to an end, finally. I don't know what more they could have done and the characters haven't been as interesting as of late. Part of me will still miss the show, though. So long Ainori! I should have noted where he appears in that video. It's very brief but he shows up several times. It's easy to recognize him because of the distinguishable smile he has. I thought it would be interesting for people to see what he's doing now for a living. Also, I'm not 100% sure but I think that's his voice throughout the video. We have a few good months to discuss upcoming episodes, hopefully these will be the most entertaining. I think they will be and hopefully there will be appearances from former members like they use to do way back in the show. Does anyone remember which episode this was from? "A female participant developed a physical ailment for which the doctor prohibited her from riding on the bus, or any other prolonged sitting position. Because of this, the only solution seemed that she would have to be sent home, and be eliminated from the show. However, the group came to the decision that they would ditch the bus, and walk for the rest of the trip (while carrying around all of their baggage), just so the girl could remain with them" ? Any help on this would be great, thankyou! I'm sure Taddachi is a nice guy, but he probably wouldn't mind making out with her.... I mean, as freaky as Yamaji can be, she's not totally ugly.... If Taddachi allowed all those things from a fat girl, then I give the guy props. Machihxh wrote: Does anyone remember which episode this was from? Thank you very much Reuben!! I will watch that episode now.. Does anyone know if they uploaded episode 304? cause i dont see it. sorry if im digging it up if its already been asked. Thanks again for all the people seeding the older files for us to enjoy. I don't feel bad for her. That whole edited childhood story/music in the background made it cheesy. And she didn't need to complicate things by pretending to be bad person and then creating all the drama that it was actually her. I don't feel that sorry for her. As freaky and neurotic as Yamaji was, and as obviously unmaintainable a first relationship of hers would be, I think that Tadacchi really fucked her over with the way he handled that whole kokuhaku situation. As much as he tried to be a gentleman and not freak out over her advances previous to that, he clearly WAS freaking out on the inside (which is understandable) but he reacted way too strongly when she was obviously launching into her kokuhaku speech, and pretty much cut her off and preemptively gave her his answer without allowing her the dignity of getting an official rejection. I'm a bit surprised that the staff didn't intercede there (or that a bigger deal wasn't made of it) but it was kind of worth it to see how mindblowingly uncomfortable he was when she announced she was leaving the next morning. Plus in 437 he seemed to be either oblivious or cold-shouldered to Maamin. I don't think the guy knows what he's doing on the show. I'm intrigued by how devious Hime is... I'll have the popcorn ready in anticipation of at least one killer meltdown when her machinations go wrong. Tadacchi is an idiot. He's no "nice guy". Any real gentleman would walk at the same pace as the girl... Shrek sure got bonus points there... What an idiot. And Hime is too calculating... I hate calculating women, which is pretty much 90% of them. katsukare wrote: so, where's this weeks show? episode 438 will be broadcasted today march 2nd 2009. I think your in Germany, and i dont understand how the time difference works, bu today in california means its broadcast at 7:30am today, which is close to Japans yesterday, and we'll see it tomorrow. So it's really all relative. lol, it was a good episode. I can't wait to see these last three. I just really wonder how its all gonna end. Long time fan of the show. I'm a bit sad it will be over too. I remember watching a Special episode of Ainori where they show a "Making of AINORI". They show how people are interviewed, selected, then called up to go. How the girls and boys are separated. It was a really interesting episode where they showed a behind the scenes and making of. I would love to see it again. Does anyone have any idea which episode it is??? So sad. Can anyone recommend another series to use as a study aid? Preferably one with good stories, casual conversation, Japanese subtitles, complete episode transcripts on the official site, not to mention the English subbers, encoders, seeders, and leechers? I just watched the final. I didn't like how it ended (I won't give spoilers). It left me very unsatisfied, literally the tape just stopped like in badly edited school video. WTF? Very suspicious, this "sudden ending". Consider Japanese variety shows and their tendency to repeat/recycle material (as in 10 replays of a gag or recaps after commercial breaks) and it all seems ever the more strange. I wouldn't be surprised if we see a special or two down the road sometime. yes WTF! Why did the show end in such a way? No explanation, no nothing?!?! Now it's finishing. what do you think the chances are of them releasing a complete dvd box set? that would be amazing! So any news on why it ended so suddenly? Anything confirmed? I also heard that the reason for the show ending so suddenly, would be explained in the book they're selling/going to sell, I don't even know what book that is but if anyone has any idea? Either way, I can't read it so. It's just so sad, I recently watched episodes ~340-441 in one stretch, so I'm feeling very disappointed with this ending. There has to be some specific reason why they'd end it like this. And since they didn't say why in the final episode, it has to be something bad. Anyone who has any info? I've found many ideas, but no real info. But, the cool thing is, over the last few weeks/months he's had a whole bunch of ex-Ainori members in the shop as guests. Sanchan's been there, Suuzan's been there before (and will be there again for the whole first half of August), last weekend he had Umeo and Maamin and Garlic... and this weekend... he had Shrek. I couldn't resist. I went. I had actually gone by the shop randomly last week, but was too scared to go in... this time, no way was I going to miss meeting one of my favorite Ainori members of all time. And in person, Shrek is every bit as funny and sweet as he was on the show. I only got to talk to him a little because the store was crowded, but I asked him what he's up to now, it seems he's still working as a truck driver or machine operator in Hyogo, and I asked whether he was sad or surprised about the show ending, and he just said that he felt really bad for the newest members, that they weren't going to get to have their full ride. Also, the members mostly stay in touch and do get together to hang out from time to time. It was a really weird situation though -- if you wanted to take a photo with him, you had to buy something from the shop. And I'm about as unfashionable as it's possible to be while still living in Tokyo, plus I know very little about Africa. So I bought a cell strap charm from Kenya, that I attached to my Ainori cell strap charm, and got a photo taken with Shrek. I think it's a super-weird situation but he was nice about it all -- when he said "arigato", I was like "arigaTON ja nai?" And everyone laughed. Anyway, if you're a fan from the Suuzan-Hide era, you might want to drop by the shop in the beginning of August and meet your favorite guys! Alternately, you can go to Odaiba, where they have the ACTUAL love wagon from the first year of the show! I was randomly at Venus Fort and saw this big pink van inside the mall (first floor, near the Italian restaurant), and nearly cried! It even had the polaroids of all the couples up to Ryo and Remi inside it. BTW, no, I didn't ask him if the show was all a setup or not. I was mostly like "OMG! I can't believe I am TALKING to SHREK!" oooh, so thats what that was! saw a girl holding a sign plastered in suzans face and had no idea what it was. might have to check that out. Hi all. It looks like this is where the lingering Ainori crowd hangs out. Did anyone catch the Ainori special that was on yesterday afternoon? I didn't know it was on and caught the last 20 minutes by chance but missed the first hour. Maci wrote: Did anyone catch the Ainori special that was on yesterday afternoon? I didn't know it was on and caught the last 20 minutes by chance but missed the first hour. I met Shrek in Hide's masaai shop in Harajuku a few weeks back when he was "special guest worker"
he was all tanned and had bleached hair, it was funny. a very nice guy! Can someone translate it for me ? It talks about a reunion or something like that but don't understand the rest of it!! I had a feeling they would have another special (although I figured maybe they would release it on DVD to force everyone to buy it haha)... I hope someone somewhere caught the full episode and will share it online! I was so disappointed by the way things ended, so I'd love to see the followup special!! Hopefully it will make up for that finale episode. OMG.....there is speciallll?????? ?i want to watch...have anyone upload here yettttt??????? It seems the special hasn't been uploaded here, but they have it available as on-demand content in the official site (for Japanese IPs only, though). Ainori fans rejoice! 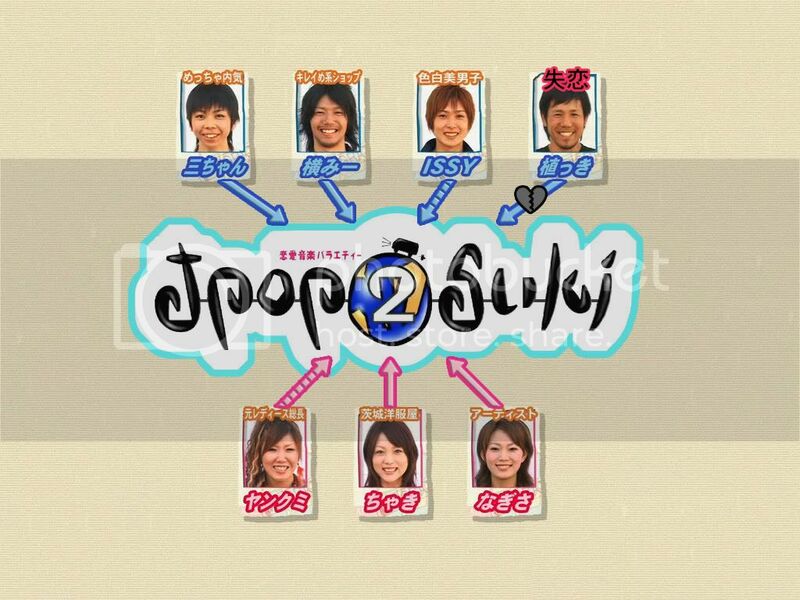 Looks like FujiTV's gonna revive this variety program! Fuji TV's hit show "Renai Kansatsu Variety Ainori" (commonly known as just "Ainori") is finally making its return. 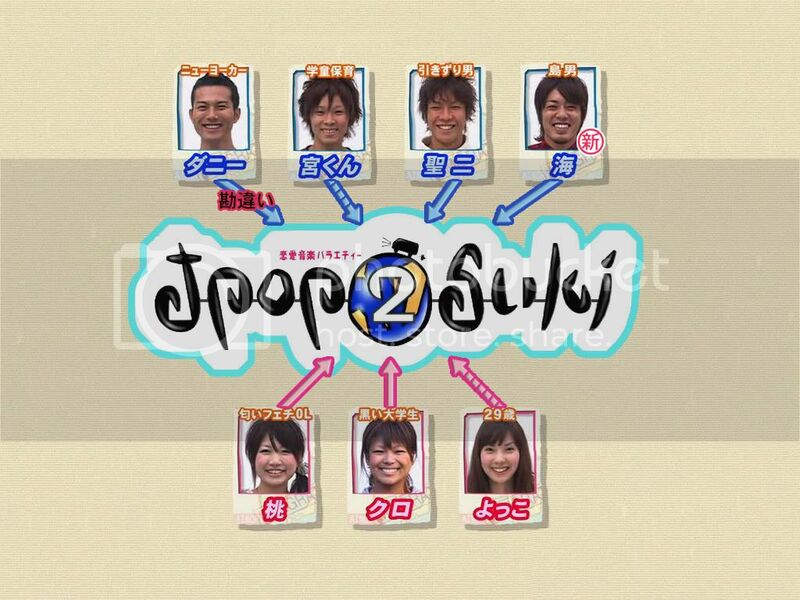 To the disappointment of its fans, the show ended in March 2009 after almost ten years on the air, but Fuji TV has decided to bring it back due to popular demand. YES, that is such good news! I can't wait. Can't wait for the show to pick up again. In the meantime, could someone please seed the last three episodes? I'm dying to catch up. Chimu wrote: Very suspicious, this "sudden ending". Consider Japanese variety shows and their tendency to repeat/recycle material (as in 10 replays of a gag or recaps after commercial breaks) and it all seems ever the more strange. I wouldn't be surprised if we see a special or two down the road sometime. I speculate that it was a ploy by FujiTV to get more subscribers to their cable channel. A sudden ending and almost two years of Ainori deprivation, if I were in Japan I'd be signing up right now! This show used to be shown on TV every week here in California. I liked it a lot. It was interesting to see the different countries they went to and also I loved the people they had to make up the group. sometime it was a bit heartbreaking when the plane ticket was not taken. It went off the air here a long time ago. I shall look forward to seeing it if Fuji revives it. It is truly a proper reality show without lots of heavy drama and arguments. It's very normal and civilised but intensely interesting. I think I will apply. I guess I need to improve my Japanese first though. Here's hoping someone picks it up to sub! Does anyone know of a staff blog or something that tells you were they are at this very moment? I'm in London right now and noticed that they have yet to visit here. Would be amazing to find the bus! Who does everyone want to see get voted off? I hope Denji goes, aside from managing the money (which really isn't that difficult) he is being a bit boring. Good god am I ever tempted to open up that spoiler. Joe1991 wrote: Good god am I ever tempted to open up that spoiler. lol, watch the episode already! San-chan, Yokkomi, Chakki and Nagisa love jpop. Issy has been listening to klezmer lately, and Yankumi only spins dubplates, but they're both still interested in jpop. Uekki, however, got rejected by jpop and had to go back home to Japan alone. Momo, Kuro, Seiji and new member Umi love jpop. Miyakun listens to old school hip hop and Yokko is busy baking dog shaped pastries, but they are both interested. Jpop thinks Danny likes it, but is actually mistaken. Or does Yokko make pastries for dogs? I could never figure that out. So I like, just now found out that the show started back up around Christmas last year. Anyone still watching it? Is it even worth getting back into again? I think Ainori is the absolute best tool for self study. With the hosts gone and the longer format, it just means more transcribed content. The second season of Ainori 2 is pretty much the same as the first. It never changes, which is good for learning. The current group is pretty likable. But the staff is as sneaky as always. Some members are given a long trip and a good chance, others are destined to be rejected, and some are only given... five days?! I actually started following Ainori when I'd first started Japanese classes; it was one of the few things I could follow along without subs, so it's got this special place in my heart. If the cast is actually okay this kind around, I might give it another go! But I have to admit that I really liked the MCs of the show, so I'll miss them! I don't like the new rule either, but it's pretty much the same as the old, secret rule. With the exception of Denji in Bangladesh, everyone else would have been forced into confessing one way or the other. Once their feelings are known, it's time for them to go. The only difference is now it's more dramatic. Congratulations to Moriken & Oose on their wedding, which apparently will be aired in a new series, "Ainori 2 Z", every two weeks starting June 9th. It's going to be a "where are they now" show, and have information on the upcoming third season. This is so random. I was just watching Renai Kentei episode 1 and a little bit before the 24 minute mark, they show series of MOMO's pictures. I don't know why they decided to put her in there. I've recently taken to reading geinou blogs for reading practice (lol), and the other day I noticed a couple of the Ainori girls were in the top rankings for celebrity blogs and well... I ended up finding quite a few blogs by former Love Wagon passengers. Speaking of Momo, I was surprised to learn she'd released a few photobooks! Anyhow, looking through their posts, I thought of this thread, so I thought I'd post a list of the blogs I found for the interested. katzenjammin' wrote: I've recently taken to reading geinou blogs for reading practice (lol), and the other day I noticed a couple of the Ainori girls were in the top rankings for celebrity blogs and well... I ended up finding quite a few blogs by former Love Wagon passengers. Speaking of Momo, I was surprised to learn she'd released a few photobooks! Anyhow, looking through their posts, I thought of this thread, so I thought I'd post a list of the blogs I found for the interested. I started watching Ainori from the start of the Taiwan trip (#369) but stop around the start of Laos (#417-424) . Maybe I got tired of the show, I dunno. but from Taiwan->Tuvalu->Samoa->Mongolia->Germany->Czech Rep.->Slovakia->Ghana, I was really into the show. 2 of the best love stories for me are the Teppei-Neko-Chaba triangle and the Carbonara-Remi-Ryo triangle and they Carbonara-Ryou bromance. it was really funny. The Mongolia and Germany trips were the best episodes for me. sad neither Teppei nor Neko and Chaba didn't end up with each other on the show at least. and that Carbonara ended up going home alone. But Ryou with Remi, I remember after some time, until episode 424, they had an update and that they were still together. I I dunno about now. Check her blog, posted on this thread, Remi seem to had gotten married, Kuro and Momo were bridesmaid/guest, but she didn't show the face of the groom, is it Ryou? Btw, did they say why did Danny left after Europe, before Ghana? He seems like a cool guy, but nothing special, no love interest whatsoever, except for that Momo thing which is a trick. anyway after a while I got kinda bored and eventually stopped watching it, but still kept it on hard drive. unfortunately I lost the files after my drive got corrupted and now I kinda regret not finishing it. did find the last couple of episodes like Denmark and that one finale in Netherlands. I like Maamin, cute and naive. very adorable. Chaba and Yamaji seems like 2 really crazy chicks. so any updates about the show, the couples and contestants and their doing nowadays. What happen to Yokko and Kousuke, Yokko is married with child, pics of a kid on her blog? Kousuke's child?